How to Trace Mobile Number | Location | Place | Name : Have You ever wondered about Tracing or Tracking Your Mobile Number,its Location and Service Provider Details ? – Shocked!!! Yeah You can Trace any Mobile number or its location Using Mobile Phone Number Locator Services Provided by Websites as well as by applications for free of cost.You can Track any mobile number throughout the world using these Mobile Number Locator services.Mobile Phones have become a regular part of our life and we are so much attached to our mobiles that we can’t even stay away from them for more than few minutes.Using a Mobile phone has both Advantages as well some disadvantages.If we speak about the advantages then there is a huge list which we already know but when it comes to its Disadvantages we can’t ignore them.Most of the Mobile phone users become a victim of Jokes,cheating or fraud activity because of Invalid or fake calls from other Users. Earn Cash and Gift Vouchers Online by Filling Survey Sites Also some people keep Bothering other users by giving miss calls or having pranks with them.At such phase we feel very much frustrated and irritated because of these annoying calls from unknown sources.Therefore at that Point you might be curious to know who is the caller and from where he is calling and whether he is your friend having fun with you or not.So if You are curious to know the Caller details then here is quick solution for your problem by Tracing the Mobile Phone Number and thus finding its location and Service Provider Details.Tracing the Mobile Number can prove to be very helpful if you are going to take an action against the caller because it may help you to find out whether he is your friend or some bugger trying to cheat you.Read the below Guide on How to Trace Mobile Number,its location or name and much more. 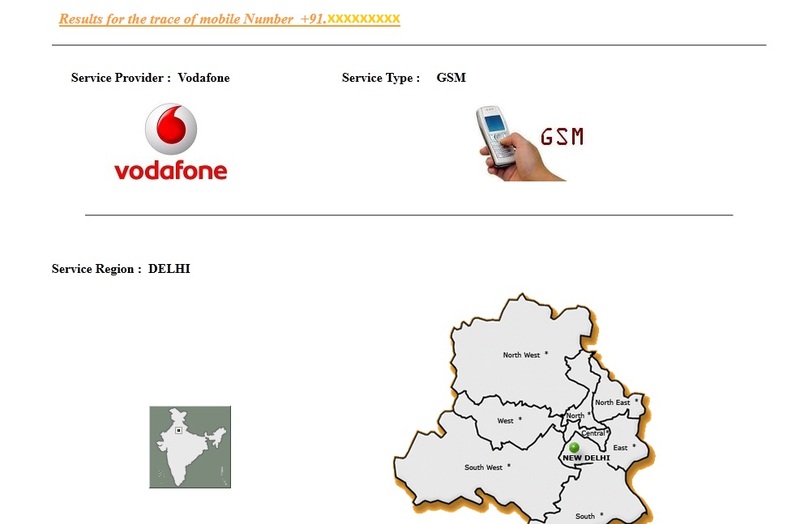 How to Trace Mobile Number in India with its Place and Name : In past years tracing a mobile number was pretty difficult but now because of new advancement in Technologies you can easily track any Mobile Number with all its details i.e Location,Place,Service Provider and much more.Recently I too received a Spam call starting with +92 code and then I tracked its all details and then I put that number in Blacklist.Now You will find hundreds of Free Websites that provides you with Mobile Number Tracking details with Longitude and latitude information and if you are an Android User then You can Download and Install numerous Mobile Number Tracking apps like Truecaller,Mobile Number locator etc on Your Android Smartphone. 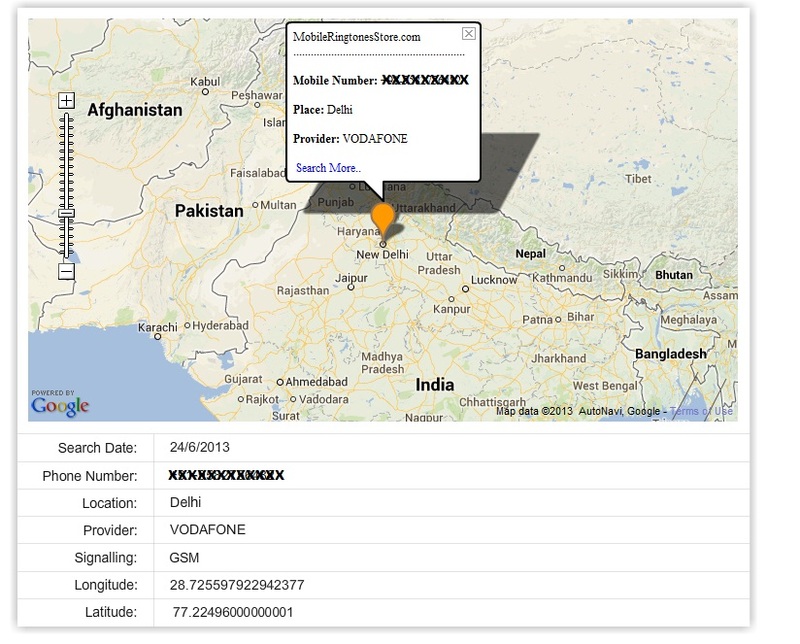 Mobile Tracker India Provides free Tracking details for any mobile number with its location on Google map including Longitude and latitude Positions.You Just need to Enter Your 10 digit Mobile Phone Number to Trace the Mobile Number details with just one click.You will be Provided with User Location,Telecom Service Provider and its Position on Google Maps. You can Also Use Google Search Engine to find details about any mobile phone if it is being used in Social Networking Platform sites.Though this method doesn’t guarantee that will you necessarily find details of that particular number correctly but still you can use it for tracing your mobile number.For Tracing mobile number just visit Google and there type the number that you want to trace and press enter.If it is being visible on any Social Networking Websites than you will be able to trace all the Details including Address,Location,Place and User name. If You are an Android User then here is a good news for you Now You can Easily any Mobile Phone Number Directly on Your Android Smartphone or Tablet without Using anyother Websites to trace the Mobile Number.Here Below is a List of Free Android Apps to Trace Mobile Phone Number.